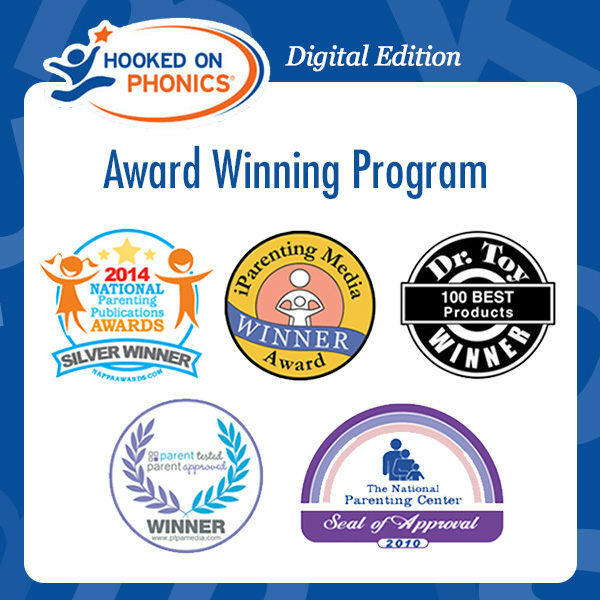 Hooked on Phonics® Learn to Read is an award-winning program that has helped over 5 million kids become confident readers. 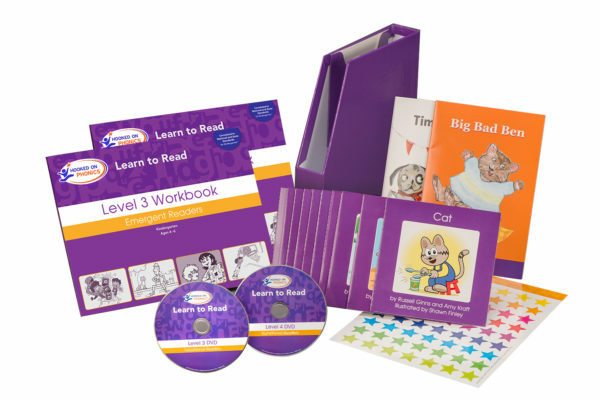 The Learn to Read program is based on research and approved by the Children’s Reading Foundation. 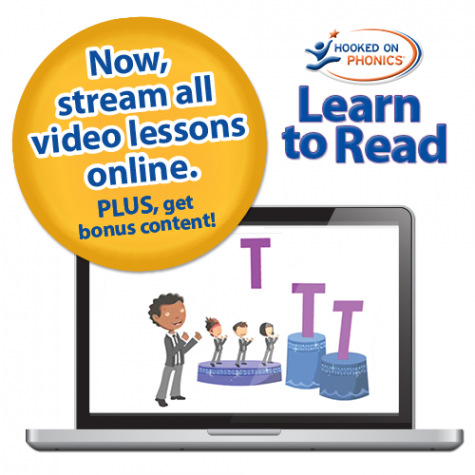 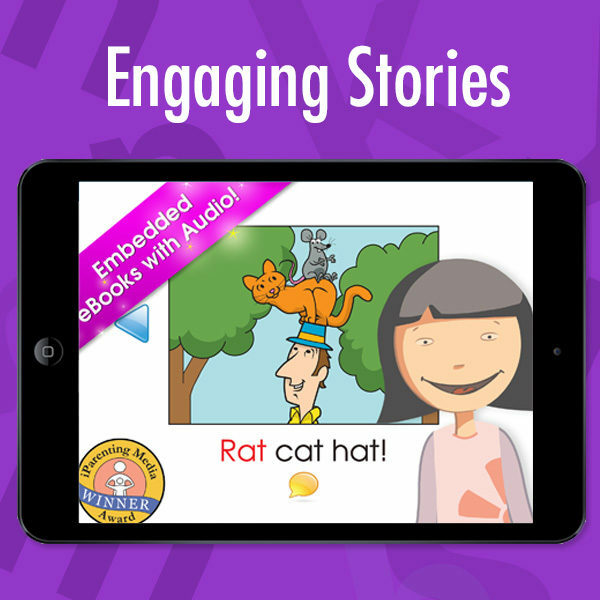 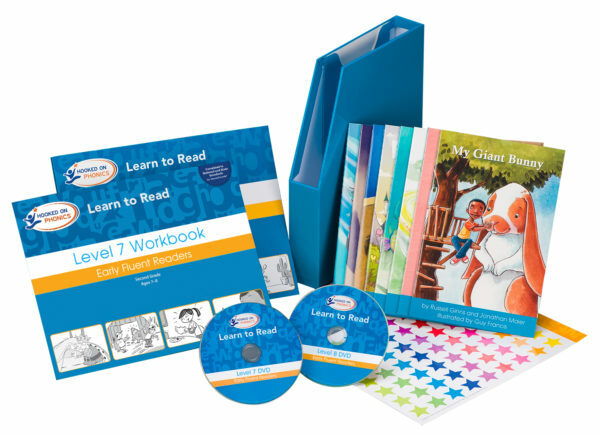 Designed in conjunction with leading educators, award-winning authors, teachers and parents, Hooked on Phonics® Learn to Read uses a proven, simple, and fun method to give your child a strong foundation in phonics and reading skills. 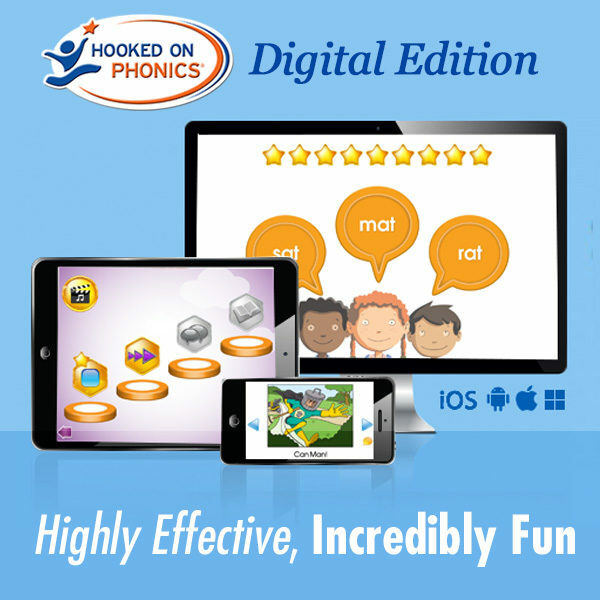 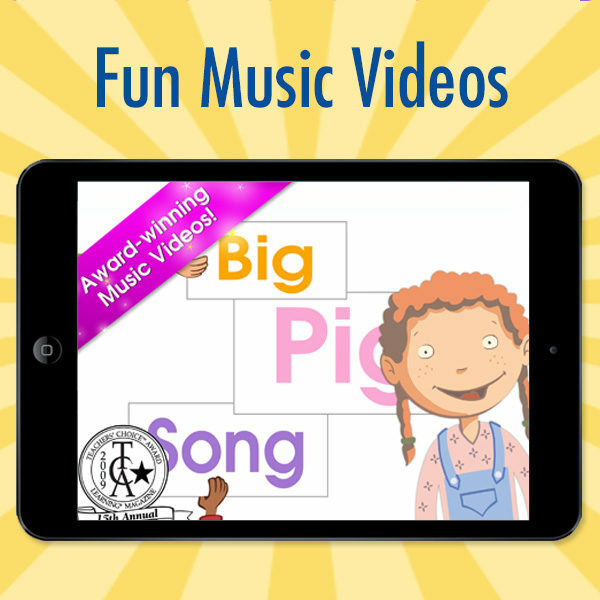 The complete Hooked on Phonics® Ultimate Learn to Read bundle contains all 8 levels of the award-winning program, from Pre-K to 2nd Grade. 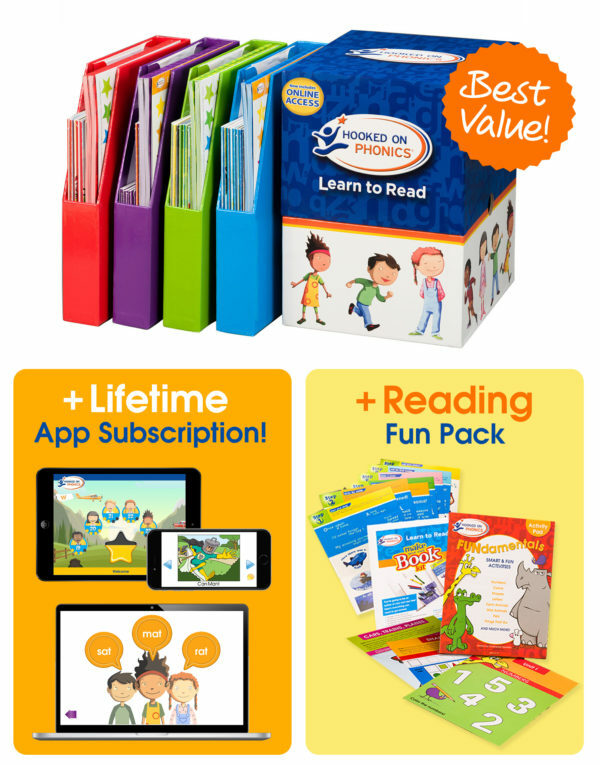 Reading Fun Pack contains an Activity Pad with more than 90 brain-building activities and a Make-a-Book Kit. 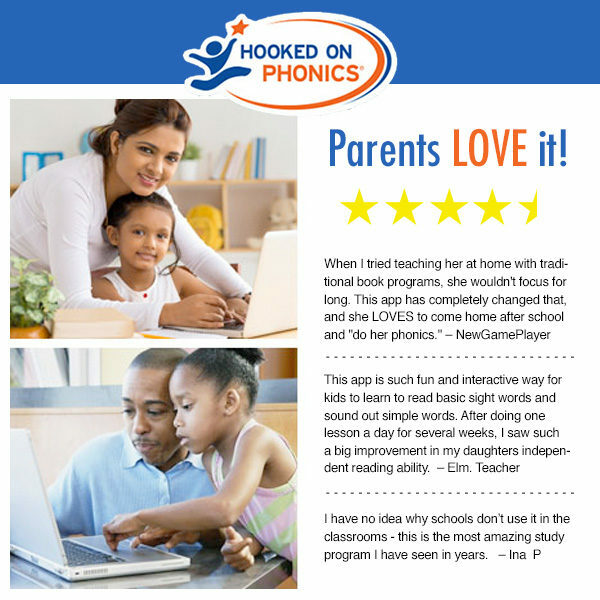 It’s everything your child needs to be the author of his or her own book and boost their creativity! 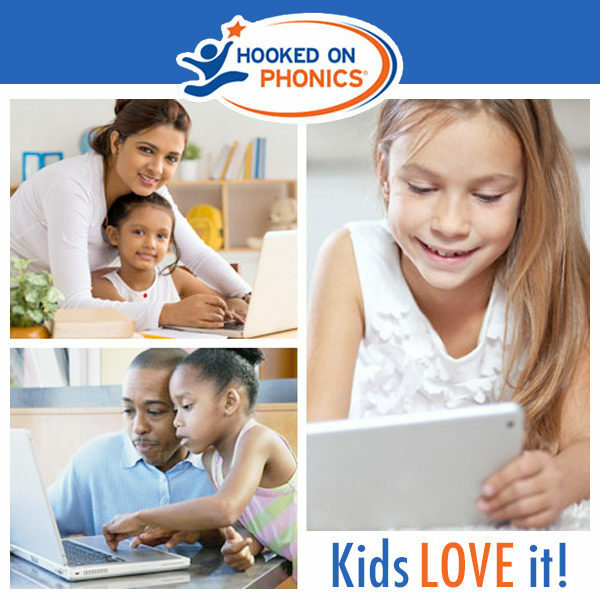 The Hooked on Phonics FUNdamentals Activity Pad features fun activities that review basic concepts such as the alphabet, numbers, shapes, and much more! 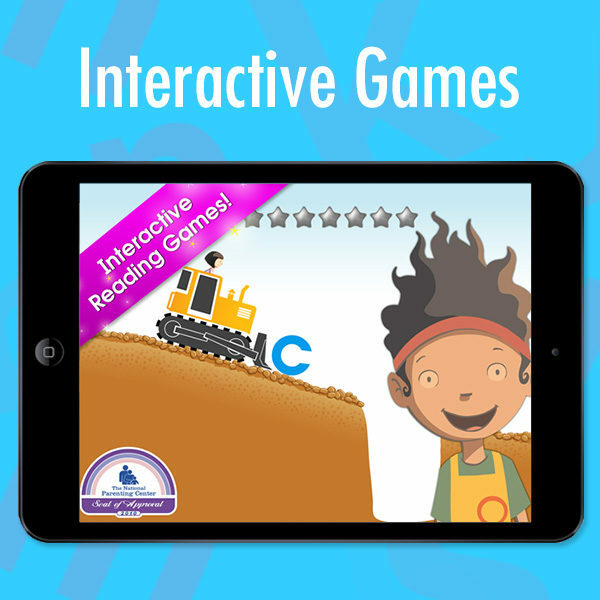 It also presents activities that help young children develop fine motor skills necessary for success. 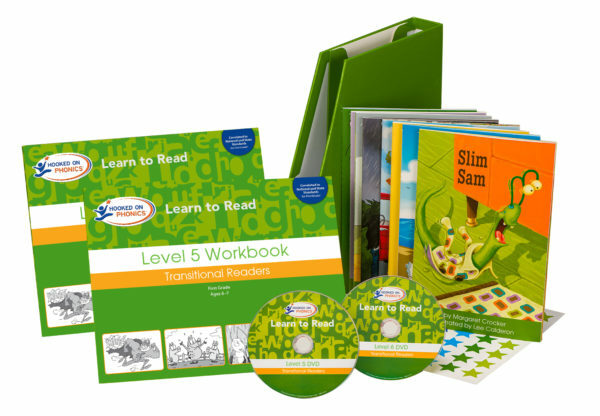 Give your child ample opportunities to trace, cut, and draw with pencils, scissors, and crayons. 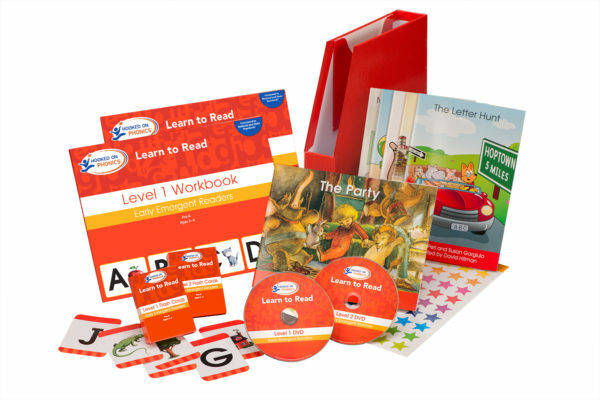 These activities are designed to help make the transition to writing letters and number much easier for your child.